On January 8, 2011, I came down to Florida to embark on my most ambitious run to date. For 13.1 miles, I ran around Walt Disney World and through the Magic Kingdom and EPCOT to complete my first half marathon. It was an amazing experience that drove me to run three more half marathons over the course of the year and the NYC marathon. Now I’ve returned to Florida to run the full Walt Disney World marathon. Originally, I had planned this to be my first marathon, but the opportunity to run the NYC marathon was one I could not pass up. Instead, this is my second marathon, but one I don’t see being as challenging due to geography and weather. 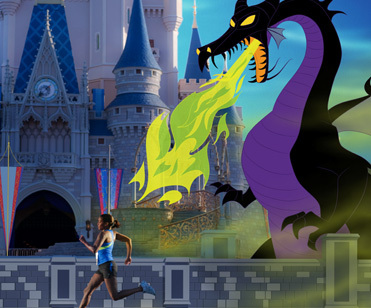 Regardless, I trained as hard for this as I did for my previous marathon and I look forward to doing my best as I run through four Walt Disney amusement parks for 26.2 miles. I got the statistic from Nike Plus that .1% of all people run a marathon. Not only am I proud to be part of that .1%, but it just drives me to run further and run harder to make the most of the experience that so few people will ever experience. I plan to enjoy the experience and attempt to surpass my previous marathon time as I move amongst the athletes that are also among the .1%.